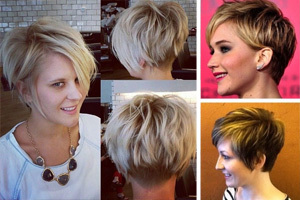 This selection of beautiful medium bob haircuts is also a fabulous showcase for the edgier cuts! 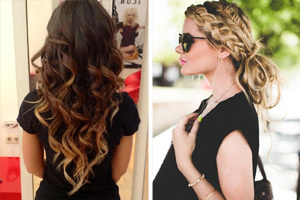 There’s lots of color and texture in these hairstyles and the wave patterns have a strong, ‘undone’ vibe. 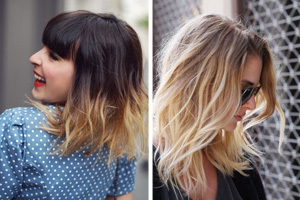 These chic, choppy and wavy looks are all ultra-modern and subvert the, ‘neat and tidy’, hair-sprayed bobs of the past! 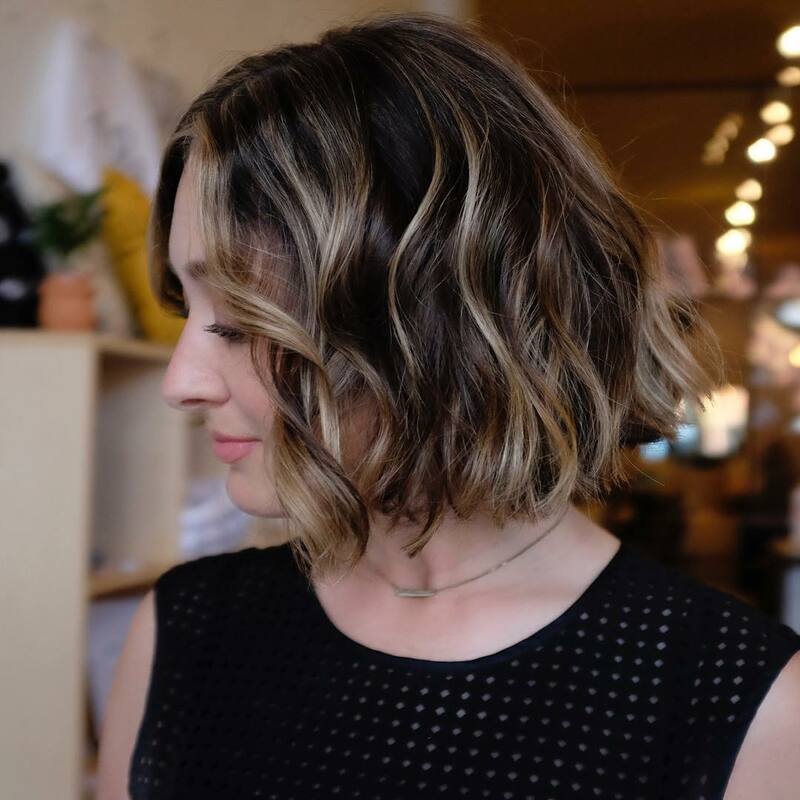 The mid-length bob is also a versatile haircut that’s easy for busy, fashionable women to style and forget. 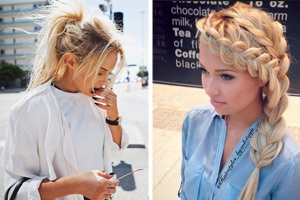 Yet hair is still long enough for up-do’s for casual or special occasions. 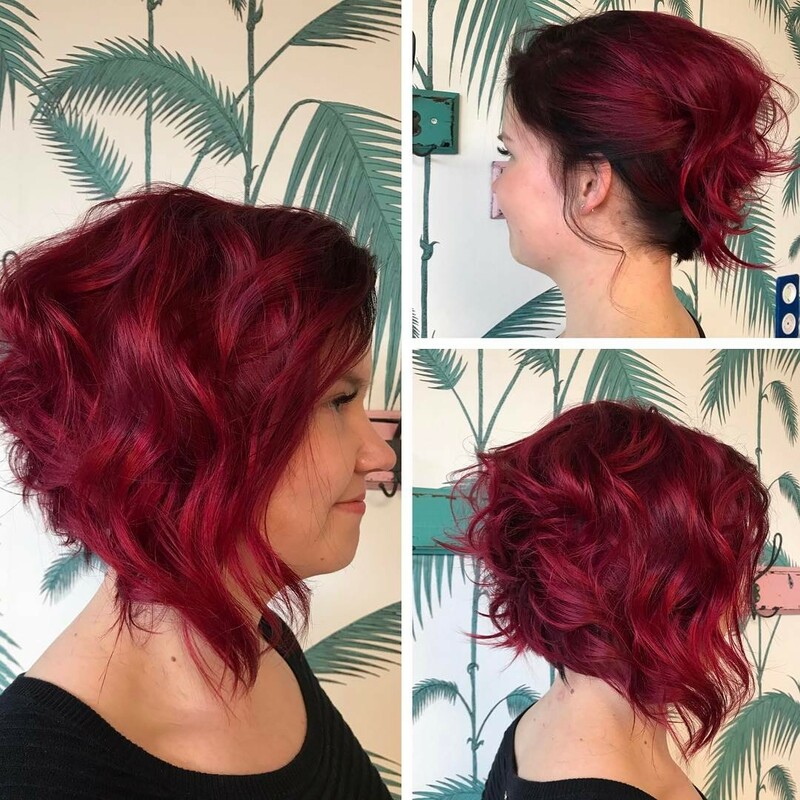 So if you’re ready to kick up your heels, get a beautiful medium bob haircuts‘ idea here, ‘cos chunky, messy and sophisticated are where it’s at! Medium-length hairstyles for fine hair always look thicker if cut to the same length, so no density is lost. 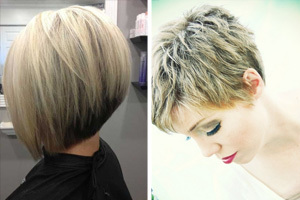 And the stylist who created this young and casual bob has used a selection of tricks to add the illusion of thicker hair. 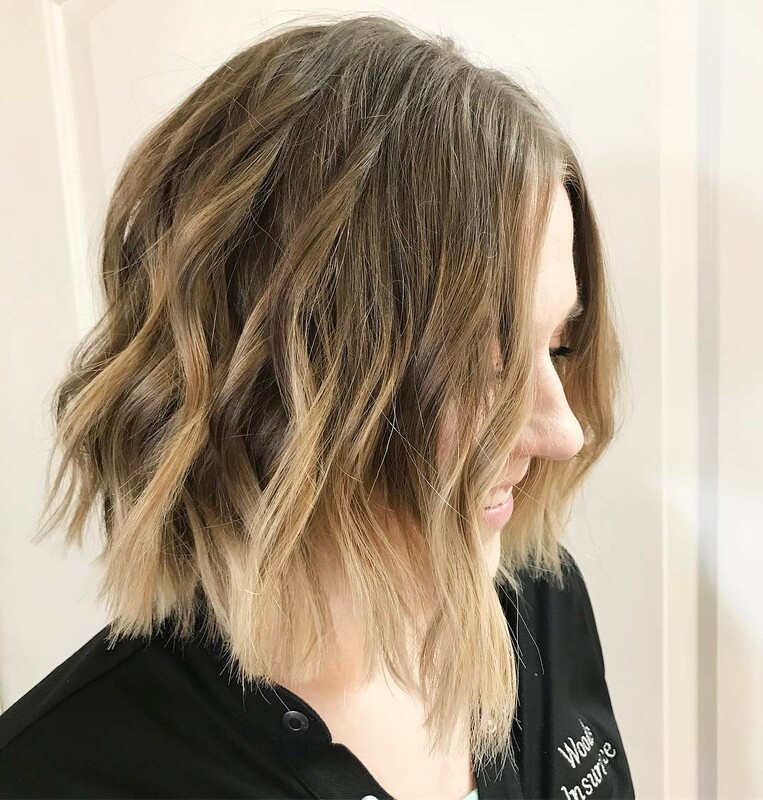 Defined, twist waves make for a wider structure and adding a lighter blonde ombré also accentuates the ends, which can look ‘thin’ on fine hair. The tips on this cut are textured for a fashionably edgy, uneven look and a chunky style. The medium blonde ombré blends well with the model’s light brown roots for a relaxed, natural finish. Vivid shades of red and deep copper are a strong trend again! And this fashionable range of warm hair colors suits light – medium skin tones with a warm undertone. This haircut will suit medium – thick hair with some natural wave and should stay ‘styled’ all day. 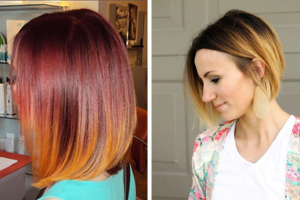 There’s texture and color depth in the jaunty orange and white highlights giving a sun-bleached, summer look! Your stylist will cut heavily-textured tips remove bulk and coax thick hair to curve under when blown-dry. You can adjust the parting to flatter your face-shape and if your skin gets tanned, this super color will still look great! This gorgeous blend of dark and light shades is totally up-to-the-minute and very attractive! The look is eye-catching and has the latest style features, like the wave being mid-way down above straight ragged tips. But the colorist has controlled the trendy colors perfectly for a soft and feminine image. The model has pale skin with some warm undertones, so the colors are neutrals rather than extremely gray, ash-brown and blonde. A good salon will help you discover your most flattering new shades! 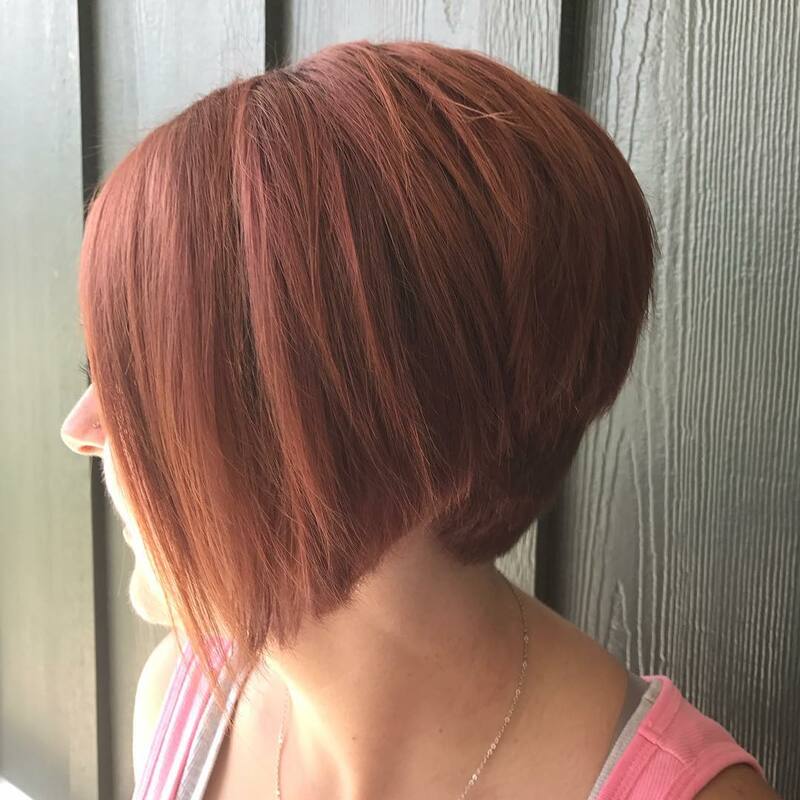 This gorgeous cut and color is a classic bob haircut for thick hair that really is ‘effortlessly elegant’. And to suit the modern vibe, the clever stylist has added a couple of edgy new twists! The layered line from back to front shows the stylist’s skill in the expertly graduated, steep sweep of hair. From the front this is a long bob – but at the back there’s a surprise bump of volume in tousled, short layers! You need thick hair for this style, as the stacked-back volume relies on close layers that sculpt hair into shape. And the glorious shades of beige-, caramel and soft golden-blonde finish off a trendy and timeless look perfectly! The etched pattern decorating buzzed or shaved napes is an exciting, new idea that’s been popping up here and there recently! 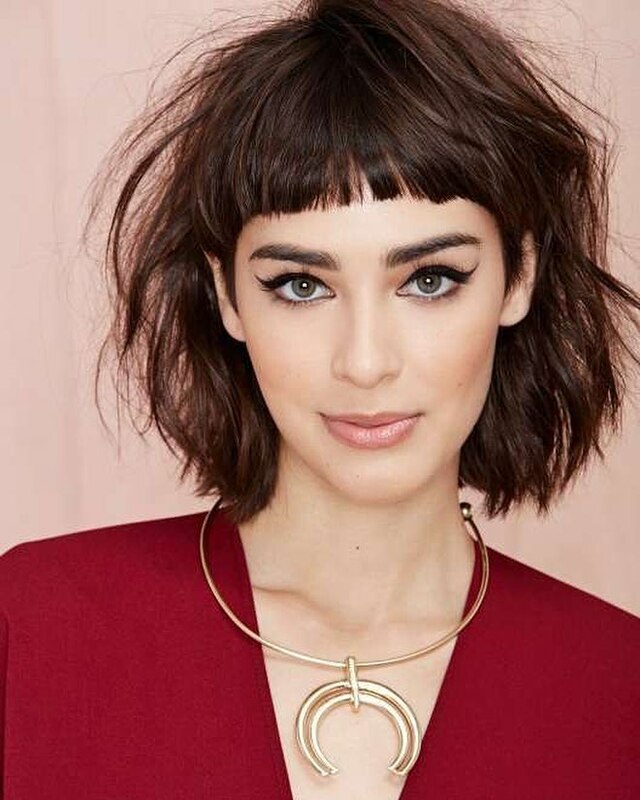 So you can copy this look and be the first in your friend-group with a sassy new twist on the asymmetrical, angled bob. 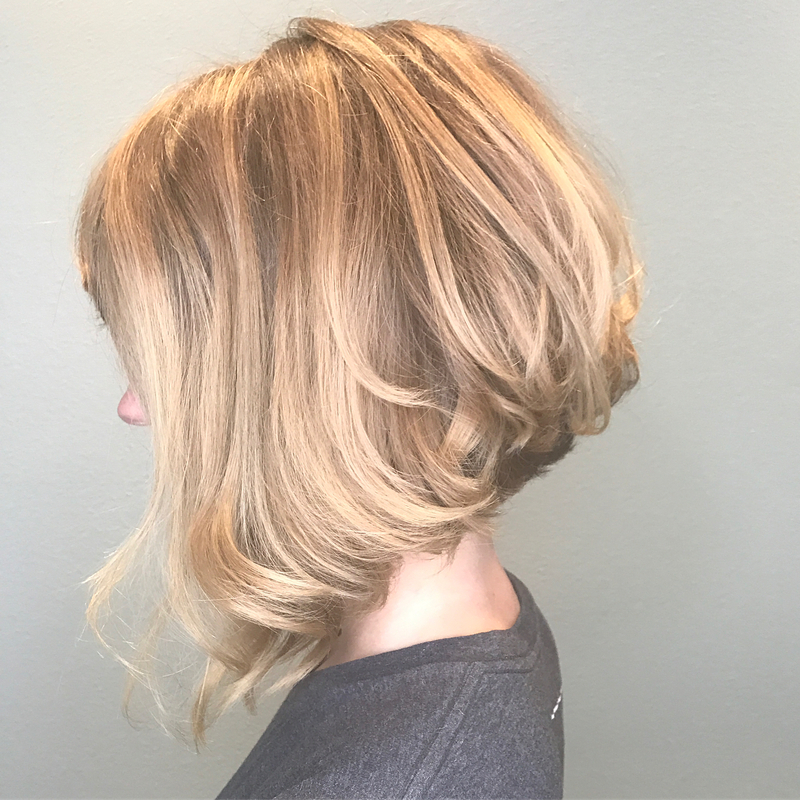 The whole vibe of this bob-cut for thick hair is ‘wonky’, with an off-center parting, extremely uneven sides and an asymmetrical pattern in the back. 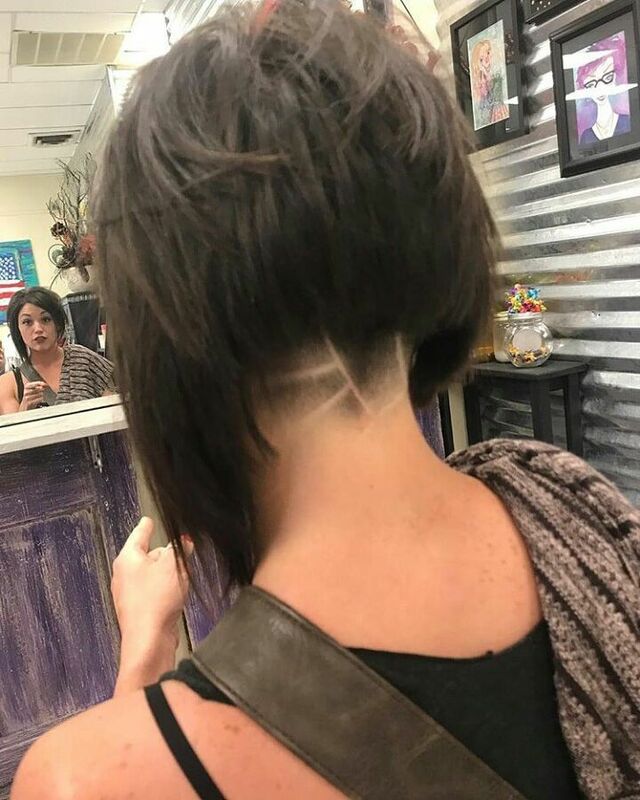 With disconnected layers framing the nape, it’s a fantastic way to show your trendy, individual style! 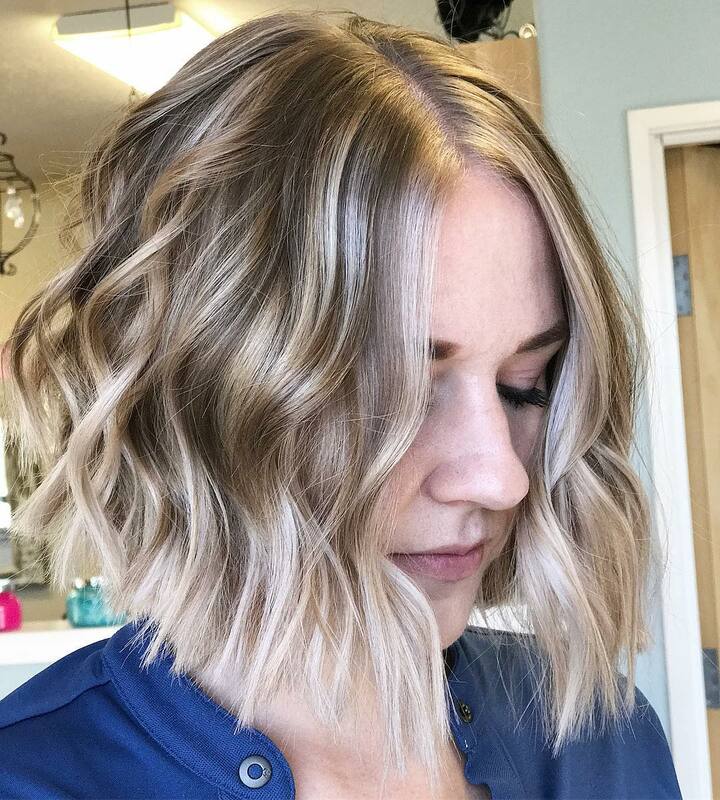 Here’s a smoother wavy bob, with a sophisticated color technique adding 3-D thickness to medium or fine hair. It’s a classy way to add blonde-appeal to dark hair. The ash-blonde and beige balayage on the top layers parts in loose, tousled twists to display the deep coffee brown beneath. The center parting suits oval faces, but you can adjust it to suit any face shape. This is another good style for adding width to a long face, because it doesn’t have extra height on top. There’s something so outgoing about vivid red hairdo’s! Just one glance at this model and I get the impression of a happy, confident and positive personality. The deep blue-based shade of red is new for this season and it looks fab on warm skin-tones. There’s freshness in the softly spiky disconnected layers forming a cute, fluffed-out feature in the stacked back. And the deep waves along the sides create fantastic color reflections down to the darker tips just touching the collar-bone! And you can see how easy it is to create a fashionable upstyle, with dark roots, too. This ‘vintage’ 1960’2 bob has the smooth finish on thick hair of the original Mary Quant look. However, the stylist has added an edgy twist in the extreme angled of the bob. The back is stacked very high, following the angle to the center back. 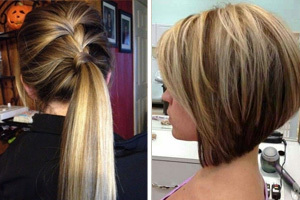 But instead of the nape being buzzed or shaved to accommodate such high-stacked layers, the hair is trimmed in disconnected close layers curved into the nape. 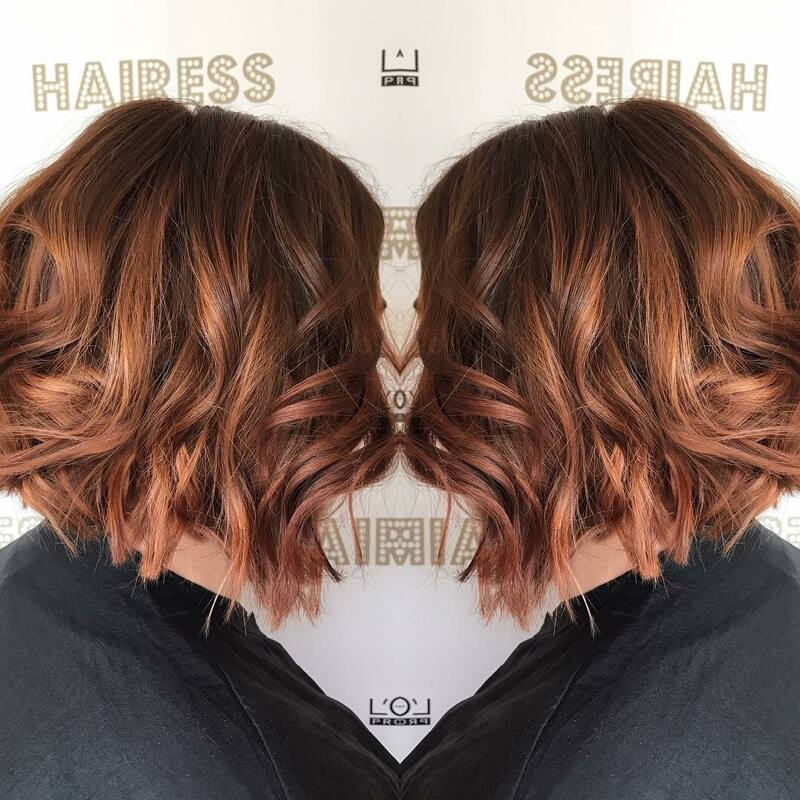 This is a super new look, made even more appealing by the gorgeous warm copper color shown off in the slightly tousled finish! Here’s proof that you don’t have to wear the same bangs’ style as everyone else, so don’t be frightened of a new look! 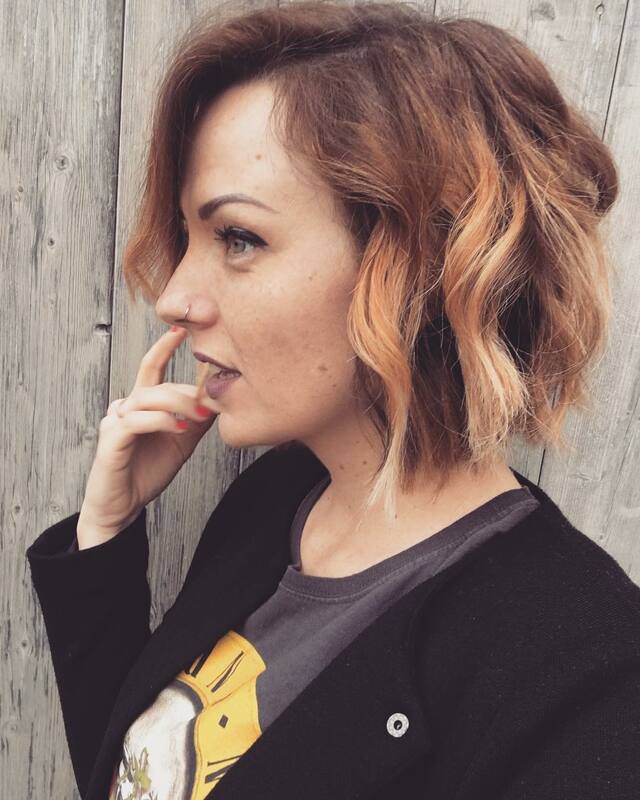 This stylist has created a ‘cool’ messy bob that balances-out the model’s thin face really well. The short, straight across fringe shows off her beautiful straight eye-brows and gray eyes! The fringe is lightly tousled to soften the line, whilst it ‘shortens’ the length of the face. If you add an off-center or side-parting you get asymmetry that also helps balance a long face. And the face is expertly ‘widened’ by tousled layers cut to be ‘fluffed’ up for flattering side-volume! Auburn hair-dye colors and vivid, natural red-hair are very trendy this season, so if you’ve got it, you should definitely be flaunting it! Fashionable ‘orange sherbet’ has been added to this gorgeous copper hairstyle, accentuating the blunt, choppy tips. The defined waves are extremely lively-looking, too, with strongly-angled ‘bends’ adding incredible movement and texture. Orange, coral, copper and red look great on warm skin-tones and are another fabulous choice from this year’s super summer options!